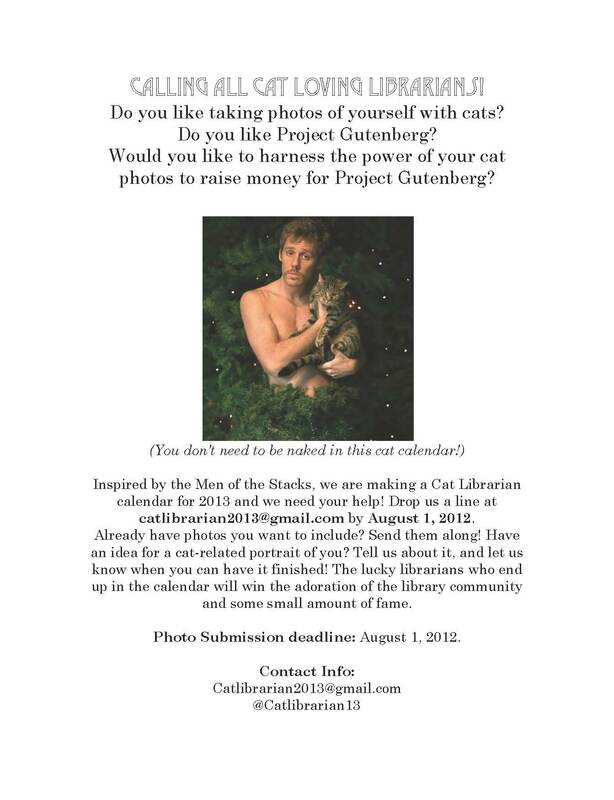 Cat Librarian Calendar 2013 | Librarians team up to raise money for Project Gutenberg! Librarians team up to raise money for Project Gutenberg! Call for participation: Send us your cat pictures! Hello everyone! The website is up and running, and we’re beginning the process of collecting photo submissions for the calendar. Have a picture you want to share? Have a question? Send us an e-mail to the address below!